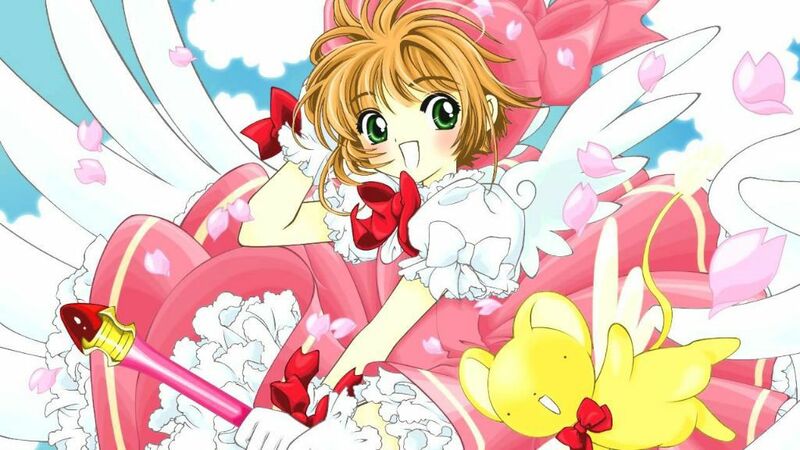 Sakura Kinomoto is the main character of the anime and manga Cardcaptor Sakura. She discovers that she has magical abilities after she frees a deck of magical cards by accident from a book in which they have been sealed. She’s given the task to catch the cards in order to save the world from an unspecified impending doom. Her name, Sakura, means cherry blossom in Japanese, and her surname Kinomoto means ‘the origin of wood’. She is energetic, kawaii, optimistic, sweet, cheerful and kind. On the other hand, she can come across as naïve, dense and clueless, but does surprise everyone at times as she can be very perceptive. She is a cheerleader at her school and very athletic. She is a talented runner. She hates Mathematics with a passion but loves Gym and Music. Sakura’s birthday is April 1st and her blood type is A. Being the creation of Studio CLAMP, she has a lot of crossovers and references to other CLAMP anime and manga. In xxxHolic, she is mentioned when Yuko states that Sakura is living with her boyfriend (Syaoran). Kimihiro Watanuki also mentions her while holding onto Sakura’s staff. In Tsubasa: Reservoir Chronicle, Sakura makes a cameo appearance as a spirit that guides Princess Sakura back to her friends. In Chapter 217 of the manga, she hands the Star Wand to Sakura Li in a dream. 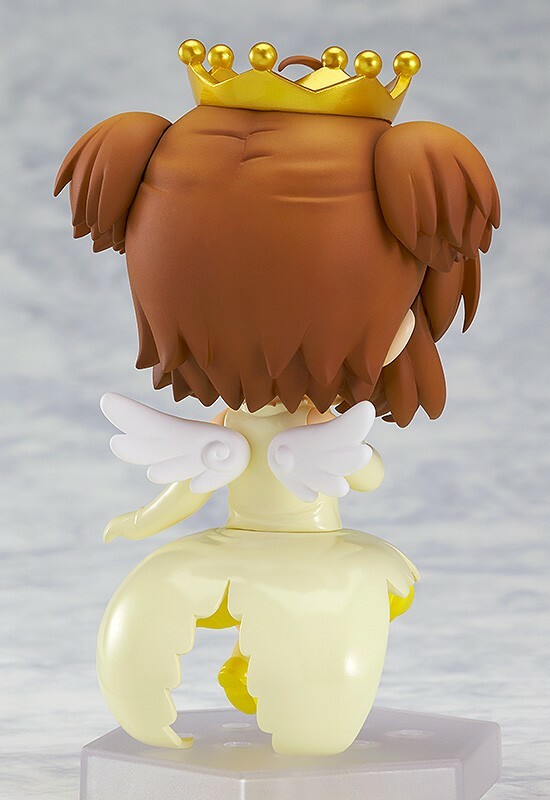 It is the 20th Anniversary of Cardcaptor Sakura and here she is as an adorable winged angel with a kawaii crown on her head. Look at the blush on her face, the wonderful detail of her eyes; the shading in her hair… you cannot help but to say the painter did a great job. Kawaiiiiiiii! The only thing that can maybe be done different is the shade of yellow used, maybe a little less ‘mustard’ and a little more earthy yellow to compliment her hair, but all in all this is amazing. Yuichi Imai is a master! He made her very adorable. The cute pose makes her look very innocent and if you have seen the anime you know that she is. Nice design, she looks like an angel princess and knowing her personality she is an angel and isn’t every girl her father’s princess? This Nendoroid was designed for the ladies and it shows. 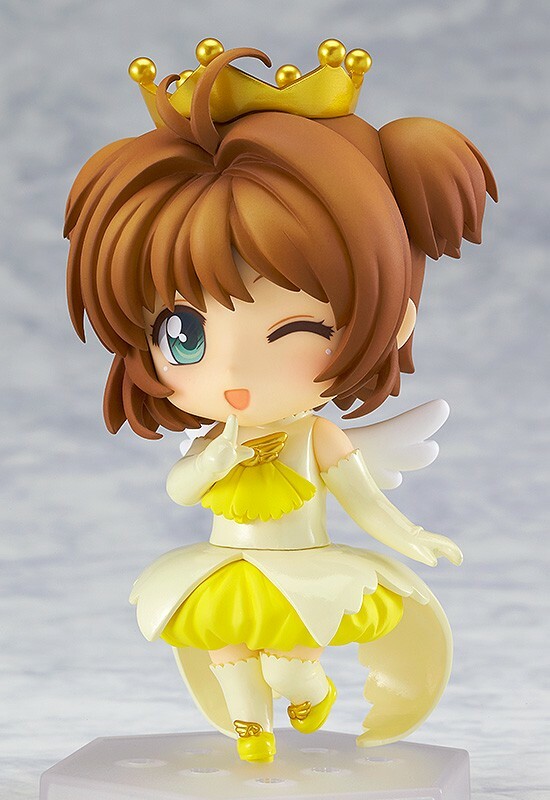 If you love Nendoroids and are fanatikal about Cardcaptor Sakura it is definitely worth it. Isn’t she adorable? Cardcaptor Sakura fanatiks will definitely try to get this into their collection. 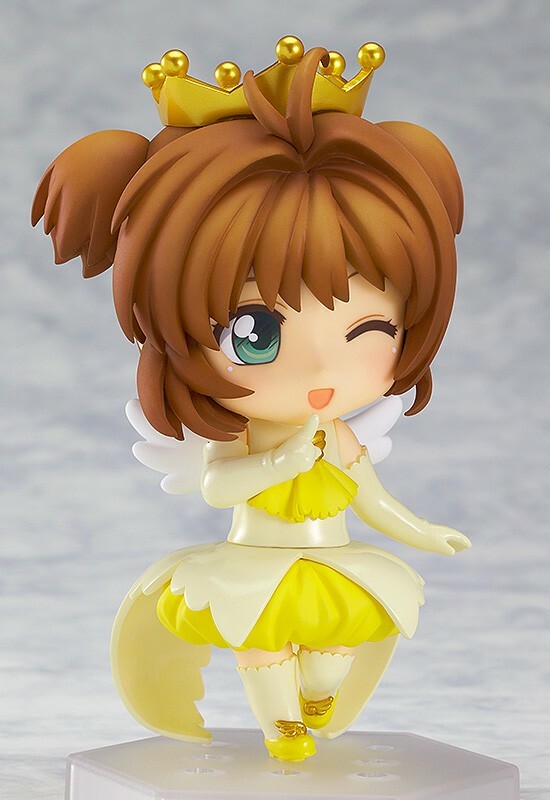 Good Smile Company took everything that is Sakura Kinomoto to heart in creating this Nendoroid and deserve applause.